Things have been pretty busy this week so that's why I haven't been blogging much. I wanted to address a question a few of you asked. The camera we purchased is the Canon EOS Rebel T3i with the standard kit lens. I'm also still planning on posting that blog post with current camera bags I'm loving here in the next couple of days. I misplaced my belly band last weekend and I can't find it! It's absolutely awful.. I can only fit into 2 pairs of pants still. I bought these floral jeans from Wet Seal a few weeks ago and they only had a super tiny one and this one left. Luckily, I can button this one still under my bump but when I sit down I have to unbutton them in order to be comfortable. I sure hope I find my belly band soon! You look so B.A.! I love it; those jeans are simply fantastic. Hoping that you find your belly band soon! I love your boots soooo much! Brown is amazing color. gratulation!!! i don´t know that you are pregnant! 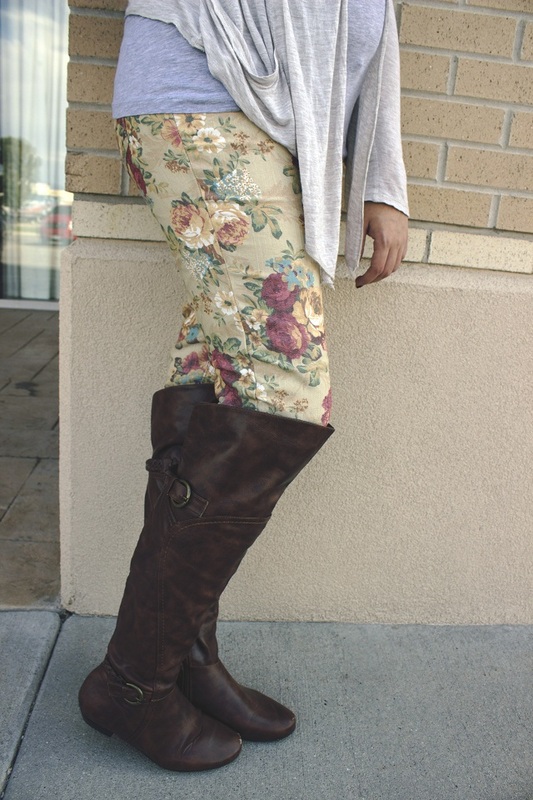 Lovin' your fall boots & the floral jeans. 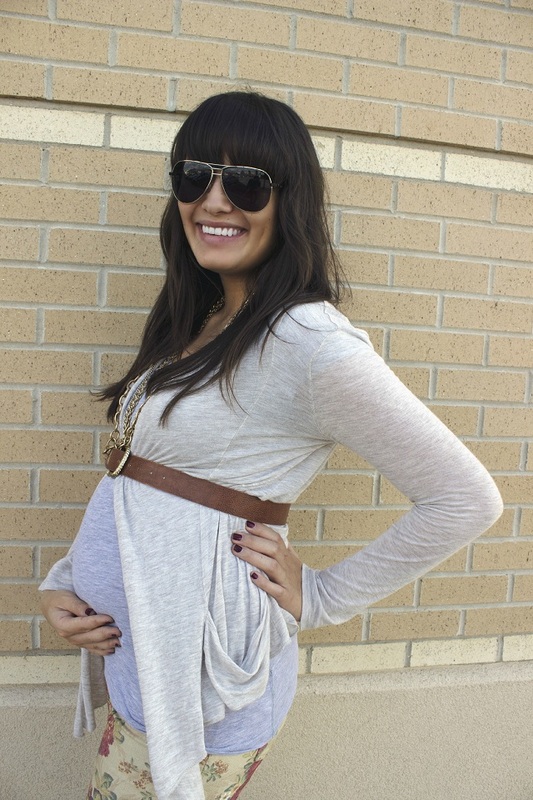 So cute...I love how you style your baby bump! You win cutest pregnant momma-to-be ever! : ) I hope when I'm pregnant someday I can rock an outfit like you can. Love the sunnies - sounds like I'm going to have to sign up for the contest now! those pants are so awesome!!! P.S. Why are you so fab? You really look great and are one glowing mama! Oh my gosh, I can't get enough of this outfit! Those pants are stellar! Oh I want me some floral jeans. Yours are lovely. I hope you get to find your belly band soon too. Those are sure helpful. :) You are looking lovely!